Posted on December 5, 2018 at 4:18 pm. 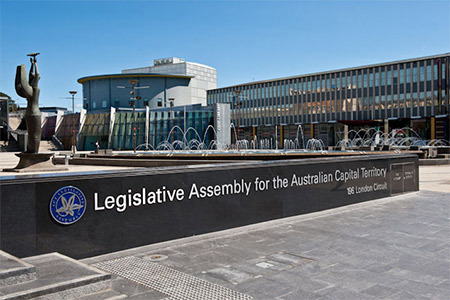 The Australian Capital Territory government has gone ahead with its plan to force some poker machine owners to surrender their licences. It is offering a $12,000 cash incentive to small and medium clubs until the end of January 2019. The remaining clubs also have the opportunity to access discounts on lease variation charges and land and planning charges within that period. This decision comes amidst concerns from the clubs sector about the inevitable loss of revenue by losing some machines. The new legislation had the strong backing of Labor and the Greens, but the opposition held a divergent view. The Liberal gaming spokesperson, Mark Parton, blamed the government over its failure to do the needed consultation in the community over the new changes, and for ignoring Clubs ACT. ACT Attorney-General Gordon Ramsay could not meet the peak club groups prior to the changes; however, he said he had previously planned two meetings between the government officials and the group, to which the clubs did not show up. The new bill introduced, among other things, requirements for clubs to report their community contribution to political parties and other entities. That aside, the in-kind support given by the larger ACT pokies clubs and club groups would be capped at two per cent. That figure amounts to almost a quarter of all the community contributions made under the scheme. There is also going to be a 150 per cent penalty to clubs that fail to meet their payment obligations under the scheme.